MONDAY, Aug. 1, 2016 (HealthDay News) -- In a study that challenges a commonly accepted belief, Swedish researchers contend that obesity may not increase the risk of heart attack or premature death. Their study of identical twins looked at cases where one twin was overweight or obese and the other was trimmer. "The heavier twin had a lower risk of heart attack or death than the leaner twin. However, as expected, the heavier twin had a higher risk of diabetes," said lead researcher Peter Nordstrom. He's chief physician in the department of community medicine and rehabilitation at Umea University. "Lifestyle factors that decrease the amount of fatness may not reduce the risk of cardiovascular disease or death, although it will reduce the risk of [type 2] diabetes," Nordstrom added. Because identical twins are genetically the same, they provide a unique tool for evaluating risks associated with obesity independent of genetics, he explained. More than one-third of the U.S. population is obese, according to the U.S. Centers for Disease Control and Prevention. The CDC said that obesity is linked to heart disease, stroke, type 2 diabetes and certain types of cancer. 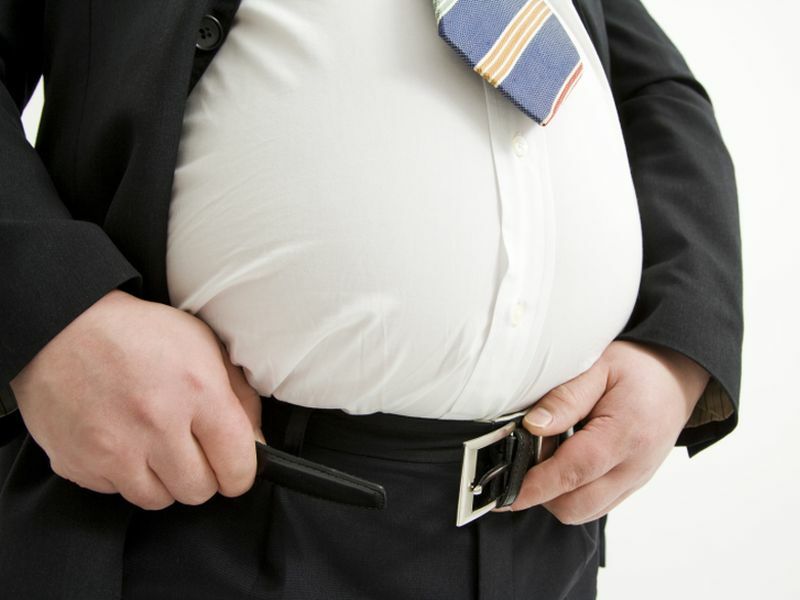 The CDC estimates that obesity-related illness costs the United States about $147 billion each year. For the study, Nordstrom and colleagues used a Swedish register of identical twins to collect data on about 4,000 pairs whose weights differed. The participants' average age at the start of the study was 58 years. The study ran from March 1998 to January 2003 and participants were followed through 2013. Over 12 years of follow-up, 203 of the heavier twins had heart attacks and 550 died. Among the leaner twins, 209 had heart attacks and 633 died, the study found. One limitation of the study is that height and weight were self-reported, which can lead to inaccurate findings because people often misreport personal information, the researchers pointed out. Another was that the study authors didn't have information on high blood pressure and high cholesterol -- conditions that are linked to obesity. The authors said it's possible that well-controlled high blood pressure or cholesterol in the heavier twins might explain the lower risk of heart attack and death. The study was only able to look at associations, so it couldn't prove or disprove a link between obesity and early death. "Obesity, per se, is not a cause for heart disease," said Dr. Michael Davidson, a professor of medicine and director of preventive cardiology at the University of Chicago. If someone is overweight, other factors are involved in the risk for heart disease, such as high cholesterol, high blood pressure and type 2 diabetes, he said. This study suggests that one can be overweight and have a low risk for heart disease, or be thin and have an increased risk, added Davidson, who co-authored an accompanying journal editorial. It's more important to focus on modifiable risk factors such as cholesterol, blood pressure and blood sugar, he said. However, these findings don't mean that a person can be obese and not worry about the health consequences, Davidson noted. "Obesity doesn't get you off the hook, because it increases the risk for diabetes, which is a cause of premature death," he said. The report was published online Aug. 1 in the journal JAMA Internal Medicine.